Have you ever seen a starfish get a limb cut off? It might sound cruel, but it's an impressive sight. Nature has gifted these creatures with a unique competitive advantage. It's one that few other species can boast. It'll simply grow a new limb over time. And in some cases, the severed limb can grow into a new starfish. It's one of the most astonishing adaptive traits you'll see in the animal kingdom... and it's all thanks to the principle of decentralization. Starfish have a decentralized nervous system. Each limb contains most, if not all, of its vital organs. And select species of starfish can regenerate an entire body from a severed limb. So if a starfish loses its arm, that arm could become an independent starfish... and may even compete with the original for dominance. The principle of decentralization has value beyond the ocean floor. Decentralized organization is the driving principle behind prosperous free market economies... It's the signal virtue of political democracies. 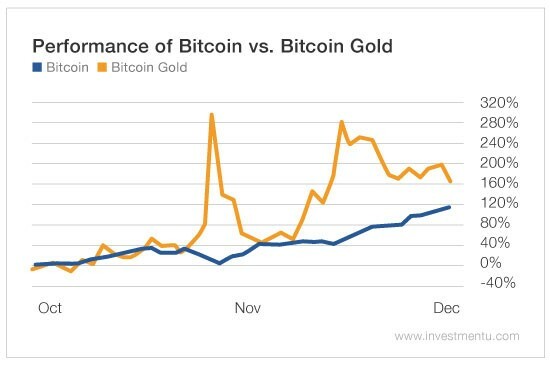 And as you can see from this week's chart, it's also the key innovation of bitcoin and other cryptocurrencies. Bitcoin: the Starfish of the Currency Market? According to Bitcoin.org, "Bitcoin uses peer-to-peer technology to operate with no central authority or banks... its design is public, nobody owns or controls bitcoin, and everyone can take part." In short, bitcoin is a decentralized monetary system built on cryptographic technology. As the first mover in this new economic landscape, bitcoin has adapted to user concerns thanks to its decentralized nature. When disagreements occur on how to improve bitcoin's underlying technology, developers offer competing solutions. But since there is no central authority to impose a single solution on the entire network, users are free to choose whichever solution they prefer. If enough users decide not to follow the most popular or mainline solution, they can simply create their own version of the software and maintain a separate ledger of transaction activity moving forward. You can think of making these splits - or "forks," as they're known - as severing the limb of a starfish. Bitcoin has endured several limb-cutting events over the years... but none have resulted in a deathblow to the original bitcoin currency. 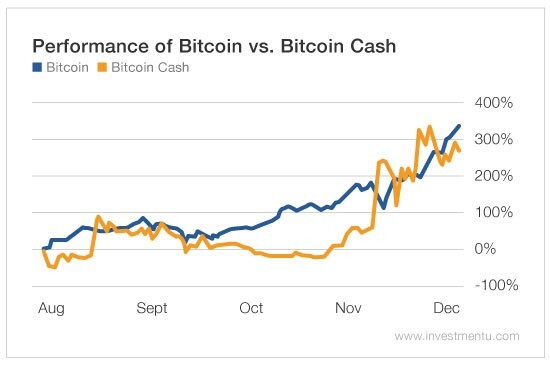 In fact, bitcoin has remained as stable and competitive as ever. In August, a proposal called "SegWit" was introduced to improve bitcoin's client software and allow bitcoin to handle transactions more quickly. A small group of users believed the proposal would be ineffective and implemented a fork to avoid implementing the proposal. In October, another dispute between users took place that led to another fork. A small group of users wanted to create a version of bitcoin that could be mined using GPU power instead of requiring specialty ASIC mining equipment. But if you hold bitcoin, it shouldn't concern you. 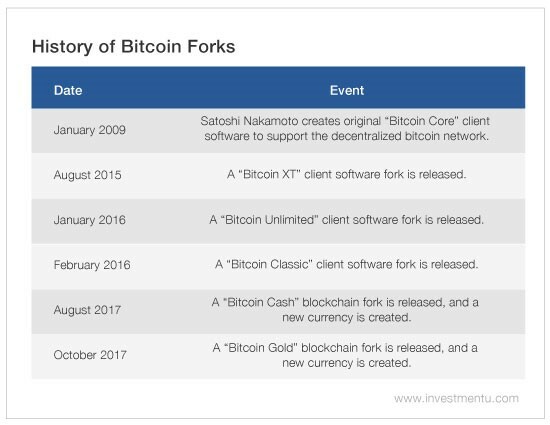 Like I said, none of these forks have damaged bitcoin's value or performance. The charts above demonstrate just that. So if you notice additional forks down the road, don't panic. It's all part of the process... and it goes to show how adaptable cryptocurrencies can be. P.S. Cryptocurrency expert Adam Sharp is giving away $250 in free bitcoin to help investors get started with cryptocurrencies. To learn about the 21,000%-plus moonshot ICOs that Adam is watching, click here now.